Illegals, Communists, and others that oppose Arizona’s law which actually supports Federal law, march and rally: downtown Raleigh, NC on July 29, 2010. The Raleigh Police chief, Harry Dolan, supports the Arizona law. We appreciate the Raleigh police being out, in a show of force, to keep the peace, since that is what the marchers say they want. Sadly, there were no other conservatives there to witness the “event”. I created this content 100 percent myself. Copyright 2010 All Rights Reserved. The Radio Patriot – AGENDA: Grinding America Down. The docu-movie. The Radio Patriot – Who are the 81 Socialists in Congress? A Greek City Just Defaulted On $275 Million Of Debt — Can The State Be Far Behind? 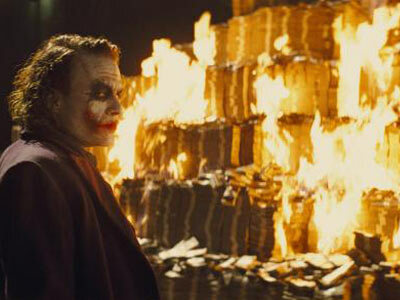 The Aftermath Of The Global Housing Bubble Chokes The World Banking System. The Irish Leave the EU. When Quinn the Governor gets here. Sun Could Set Suddenly on Superpower as Debt Bites. Greek police clash with hauliers amid crippling strike. 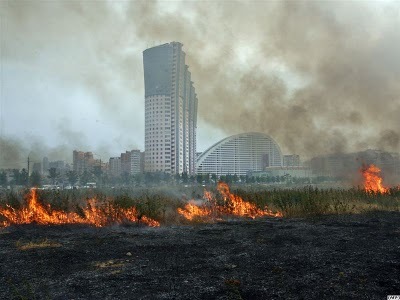 Mike’s comment: “The truckers’ strike is in its fourth day, gas stations are empty, and the government is implementing emergency measures originally intended for wartime or natural disasters. Does any of this sound familiar?” Reader Tom G. sent a link to a fascinating companion article: Greece Haulier Strike – Your Experiences. Howard Zinn, the prominent “progressive” historian who died early this year, has been “outed” as both a communist and a liar. The prominent “progressive” historian Howard Zinn, whose books are force-fed to young people on many college campuses, was not only a member of the Moscow-controlled and Soviet-funded Communist Party USA (CPUSA) but lied about it, according to an FBI file released on Friday. The file, consisting of three sections totaling 423 pages, was made available on the FBI’s website and released in response to a Freedom of Information Act (FOIA) request from this writer. Zinn taught in the political science department of Boston University for 24 years, from 1964 to 1988, and has been a major influence on the modern-day “progressive” movement that backed Barack Obama for president. Zinn was included on the “Security Index” and “Communist Index” maintained by the FBI. The “Security Index” was more ominous and included individuals who could be detained in the event of a national emergency. After WW2 service and an education on the GI Bill, Zinn taught at the all female, all black Spelman College in Atlanta. According to one of his pupils, far left author Alice Walker, Zinn shocked an audience from a local white college by declaring: “Well, I stand to the left of Mao Zedong.” – this at the height of the communist takeover of China. Forced to leave Spelman because of his radicalism, Zinn went to teach at Boston University from 1964 to 1988. On April 28, 1966, Howard Zinn was a sponsor of the Herbert Aptheker Testimonial Dinner. The dinner was held on the occasion of Communist Party theoretician Herbert Aptheker’s 50th birthday, the publication of his 20th book and the 2nd anniversary of The American Institute for Marxist Studies. It was held in the Sutton Ballroom, The New York Hilton, Avenue of the Americas, 53rd to 54th Streets, New York City. Most, if not all, of the event’s sponsors came from the Communist Party’s intellectual elite. As at February 28, 1969, Howard Zinn was listed as a sponsor of the Communist Party front Massachusetts Committee to Abolish the House Un-American Activities Committee. By the 1980s, Zinn had apparently switched his allegiance to another Marxist group. By the mid 1990s, Zinn was mixing with ACORN, Democratic Socialists of America and the Communist Party breakaway group, Committees of Correspondence. With these people, Zinn was a founder of the radical New Party – later made famous by one of its most successful members, Barack Obama. On September 20, 2001, 500 people gathered at the CUNY Graduate Center in New York City to remember the life of Democratic Socialists of America member Richard Cloward – originator of the infamous Cloward-Piven strategy, since utilized by sections of the US left to deliberately wreck the American economy. Speakers at the event included Cloward’s widow Frances Fox Piven, Barbara Ehrenreich, Cornel West (later a member of Obama’s Black Advisory Council), Gus Newport – (all members of Democratic Socialists of America), New Party founder Joel Rogers, future Obama supporter and ACORN defender Miles Rapoport and Howard Zinn. In January 2002, a group of San Francisco leftists, mainly involved with Standing Together to Organize a Revolutionary Movement (STORM) or Committees of Correspondence, and including future Obama “Green Jobs Czar” Van Jones, founded a national anti-Iraq War newspaper – War Times. Endorsers of the project included Howard Zinn. …we have assembled 100 notable Americans and 40 family members of those who died to sign this 9/11 Statement, which calls for immediate public attention to unanswered questions that suggest that people within the current administration may indeed have deliberately allowed 9/11 to happen, perhaps as a pretext for war. This is the same petition that got Van Jones into trouble in late 2009 – strangely, Jones’ name at number 46, has been “removed by request.” Fair enough, after all he was “tricked” into signing it. In the 2000s, Zinn was also listed as a sponsor of the Niebyl-Proctor Marxist Library in Oakland California, alongside Committees of Correspondence members and endorsers Herbert Aptheker, Anne Braden, Angela Davis, Ann Fagan Ginger, Jack Kurzweil and Maudelle Shirek, plus Communist Party supporters David Bacon, Gerald Horne, Cassandra Lopez and Herb Shore from Democratic Socialists of America. 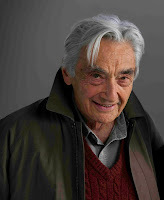 In 2006 Howard Zinn was an original board member of Movement for a Democratic Society – an organization established to support the newly re-founded Students for a Democratic Society. Other MDS board members included former Weather Underground terrorist leaders Bernardine Dohrn, Mark Rudd and Jeff Jones, former Students for a Democratic Society leaders Tom Hayden, Carl Davidson (an Obama associate in the New Party and later), Mike Klonsky, Bert Garskof, Mike James, former Obama associate Rashid Khalidi, Bill Fletcher, Jr., Barbara Ehrenreich from Democratic Socialists of America, Gerald Horne from the Communist Party USA, Charlene Mitchell, Noam Chomsky and Angela Davis from Committees of Correspondence. In early 2008, MDS Board members Carl Davidson, Tom Hayden, Bill Fletcher, Jr. and Bararbara Ehrenreich went on to found Progressives for Obama. Movie star Matt Damon recently worked with Zinn to turn the book into a documentary for America’s history students. Damon, who grew up next door to his idol, stated in Dec. 09 that one of his favorite books was A People’s History of the United States by Howard Zinn, a book he first started reading in 1980 at the age of 10. No doubt Howard Zinn is currently being appropriately rewarded for his life’s work. Boyhood mentors can influence a young man for life. Luckily Matt Damon has time left to consider his political direction. To do so, he will have to be more honest than was his late mentor Howard Zinn. Mr. Bowers looks at the subversion of America, the systematic “grinding down” of American culture and values over several decades – a process nearing its climax today. The film features interviews with Dr. E. Calvin Beisner, Dr. Jim Bowers, the late Dr. Robert Chandler, Beverley Eakman, M. Stanton Evans, Bryan Fischer, Dr. David Gibbs, Jr., Brannon Howse, Cliff Kincaid, Congressman Steve King, Gen. Ed Meese lll, Dr. David Noebel, Hon. Howard Phillips, Janet (Folger) Porter, Sen. H.L. Richardson, Phyllis Schafly, Jim Simpson, Mike Smith Esq., John Stormer, Tim Wildmon, Wendy Wright and….Trevor Loudon. AGENDA: Grinding America Down (Trailer) from Curtis Bowers on Vimeo. Call it coincidence if you will; but the Fox News website had an interesting combination of headline stories laid out one above the other. 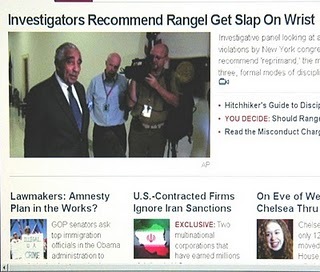 The first, Investigators Recommend Rangel Get Slap on Wrist, was close enough to, Lawmakers: Amnesty Plan in the Works? …close enough to the casual observer that one might come to the conclusion these were the same story. Is it any wonder congress has low approval ratings? At the very least Rangel should have to vacate his seat and forfeit his retirement; but that’s okay, congress is making him sit in the corner for a few minutes and apologize to the class. The other headline should run shivers down your spine as the Obama administration wants to bypass the will of the people and steamroll illegal alien amnesty on through without the use of legislation and against the will of the people. So much for government of the people by the people…at least at Concord a shot was fired. A complete take over of the government has taken place by an alien invader posing as an American citizen; and I’m not referring to the brouhaha over Obama’s questionable birth certificate. There have been several articles indicating or leaning toward the idea that Obama and his minions simple don’t act like they grew up loving the same America we do; but none better than, A Stranger in Our Midst, written by Robert Weissberg, Professor of Political Science – Emeritus at the University of Illinois, Urbana. Obama thinks Arizona is the enemy, taking them to court for trying to protect its citizens from dangerous illegal aliens. Arizona citizens overwhelmingly passed legislation that provides a means for local law enforcement to take the place of sorely lacking federal assistance, state legislation which mirrors federal law. Now we find Obama has been working overtime, in the shadows, trying to do an end run around congress to make all those illegal aliens future voters by executive order; the whole thing stinks to high heaven. Tar and feathers might be more appropriate for Charlie Rangel than a “time out” like they do in grammar school; what do we do to a President who disregards our constitutional form of government? I truly admire the Russians for their unfailing consistency in one area. In fact, they have a lock on it: Paranoia. Ashley Cleek gives us the details.